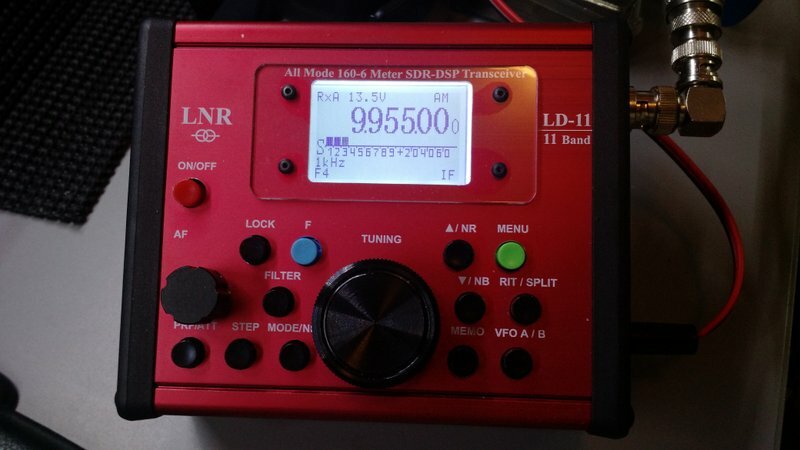 A couple weeks ago, LNR Precision sent me their new LD-11 Digital Direct Conversion QRP transceiver on loan for review. The LD-11 is basically a small, tabletop SDR transceiver. It’s like a miniature, simplified version of the Icom IC-7100 I’ve also been evaluating. The LD-11 is an all-mode and all-band transceiver–meaning, it includes SSB, CW, CW-R, Digi, AM and FM modes on all amateur radio bands (160 – 10 meters). 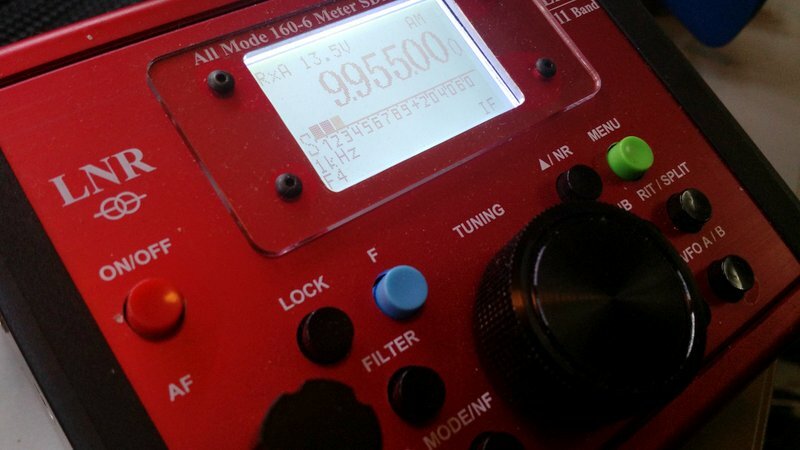 Though the LD-11 isn’t advertised as having a general coverage receiver, it will indeed tune the entire HF band. You do this by entering the LD-11’s administration mode. LNR describes this in the LD-11 product manual, but suggests you contact them for help the first time you do this. In the admin panel, you’ll find functions that allow you to set the band edges on each amateur radio band. After saving the settings and re-starting the LD-11 in normal operation mode, I could then tune the entire 31 meter broadcast band on the LD-11. Hypothetically, you could either widen each amateur radio band to include adjacent broadcast bands, or you could simply set one of the ham bands to include the entire HF spectrum. To make it easier to navigate and tune through the bands, I’m choosing the former method over the latter. Since the LD-11 has a proper AM mode, broadcasts sound great–especially via headphones! Proper AM filters for broadcast reception! Better yet? The AM filter width can be widened to an impressive 9.6 kHz! Woo hoo! The LD-11 has four filter slots: F1, F2, F3 and F4. The F1-F3 slots can be set to a fixed user-defined widths (common widths are default). F4 can be altered to any available filter width without having to enter the admin mode of the transceiver. Simply press the “F” (blue function button) and the FILTER button simultaneously and use the encoder/tuning knob to specify the filter width in .1 kHz steps. Pressing the F and FILTER button simultaneously again, will save your filter width for the F4 position. I’ve been using the F4 filter position for widths between about 8.2 and 9.6 kHz in AM. It’s still early days with the LD-11, but I’m enjoying this little transceiver immensely. 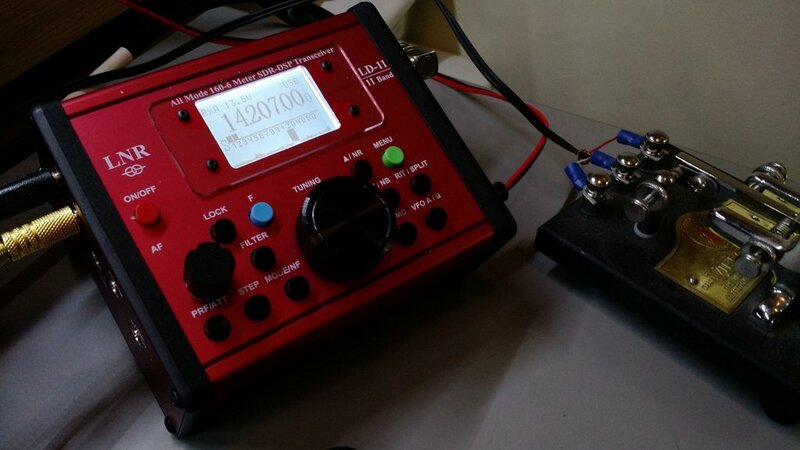 It reminds me of one of my favorite QRP transceivers of yesteryear: the Index Labs QRP Plus (though the LD-11 is much smaller, more versatile and has a much better front end than the QRP Plus!). LNR Precision sold out all of their first run LD-11 units within moments of having announced availability. I’m willing to bet they’ll bring a few LD-11s to the upcoming Dayton Hamvention, though. Check inventory status and view LD-11 details on LNR Precision’s website. This entry was posted in Announcements, News, Portable, Product Announcements, QRP Radios and tagged LD-11, LNR Precision, LNR Precision LD-11. Bookmark the permalink. Dear Sirs, I would like to purchase an LD 11 or an new LD 5 / 5 bands TRX. but for the Looks and the color I like very much the LD 11. Thanks and best regards, Paul Euler HB9 TVZ in Zürich Switzerland.